Jekky is truly one of a kind. From her stylish haircut to her patterned ensemble, everything about Jekky is cool. While we love Jekky's personality, her intimate, local home and all around good vibes, it was her food that truly stole our hearts. Jekky learned to cook with the help of her grandmother at the young age of four. Just a year or two later, Jekky was already cooking for the entirety of her large family. She grew up in a number of different cities, including the historic city of Ayutthaya. 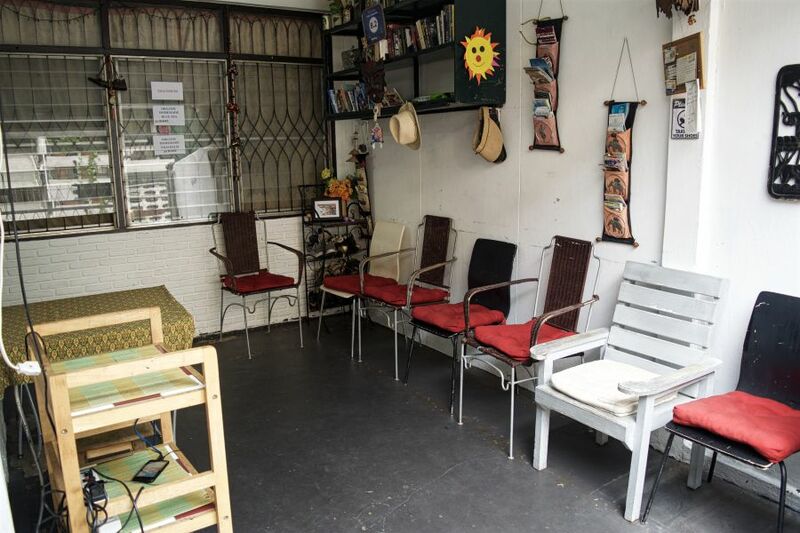 She now finds herself running a homestay in Saphan Kwai in Bangkok. If you love being outdoors, good music, and most importantly, delicious food, you have come to the right place. In-home meal: (1-8 guests) Jekky's humble homestay is located just a short tuk-tuk ride from the BTS Skytrain station Saphan Kwai. Upon entering Jekky's home, guests are greeted by a number of unique pieces of home decor, including a shrine that sits just near the entrance. 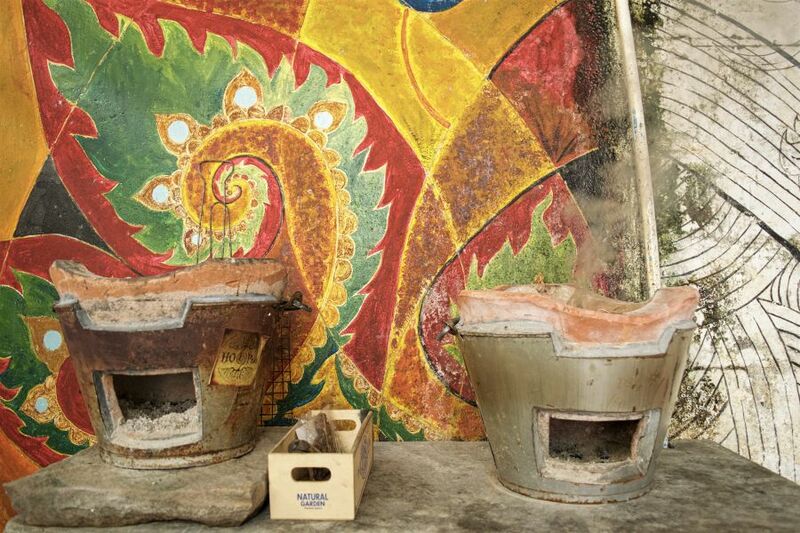 Two clay stoves sit adjacent to this shrine, and this is where Jekky prepares a multitude of authentic Thai dishes. 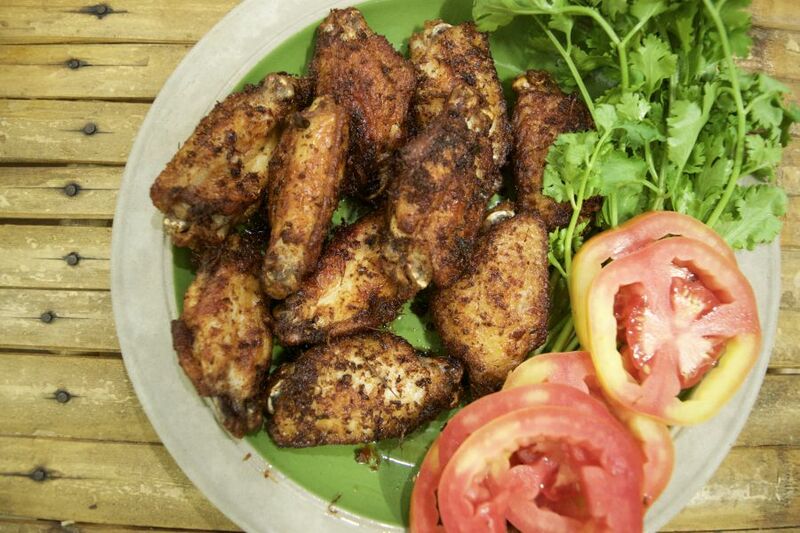 Her signature dish is Jekky's fried chicken, dubbed this name by her friends and family who simply can't get enough of these chicken wings covered in mushroom powder and red chili paste before being topped off with chopped kaffir lime leaves. 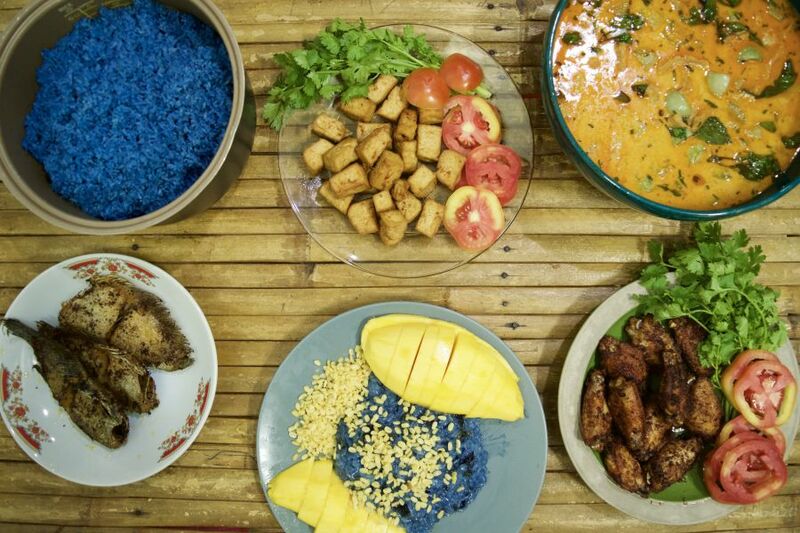 Jekky offers a multitude of different dishes, but some of her favorite ones are panang curry, tom yum goong (spicy shrimp soup), massaman curry, and mango with sticky rice. 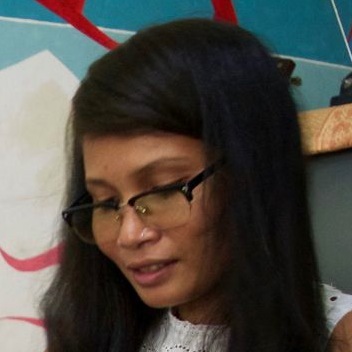 She has mastered cooking a plethora of Thai dishes, and is happy to take your request for the menu. 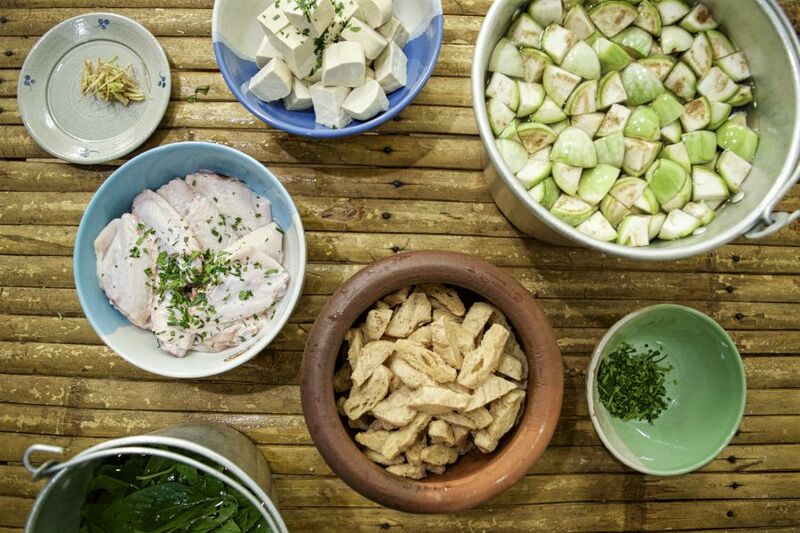 Cooking experience: (1-5 guests) Jekky will take you through the making of each Thai dish in extraordinary detail, and guests should expect to make about four dishes in total. 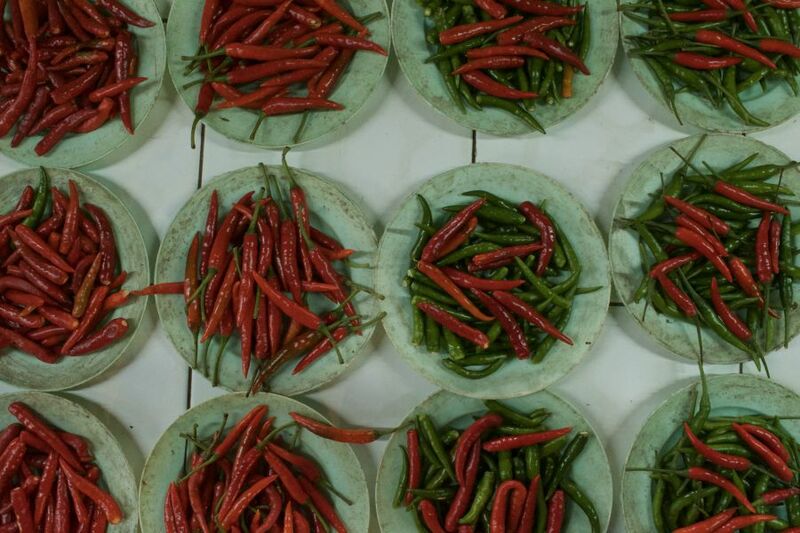 Regardless of how knowledgeable you are when it comes to cooking, every guest who takes Jekky's cooking class will leave with some new, interesting facts about Thai cuisine. 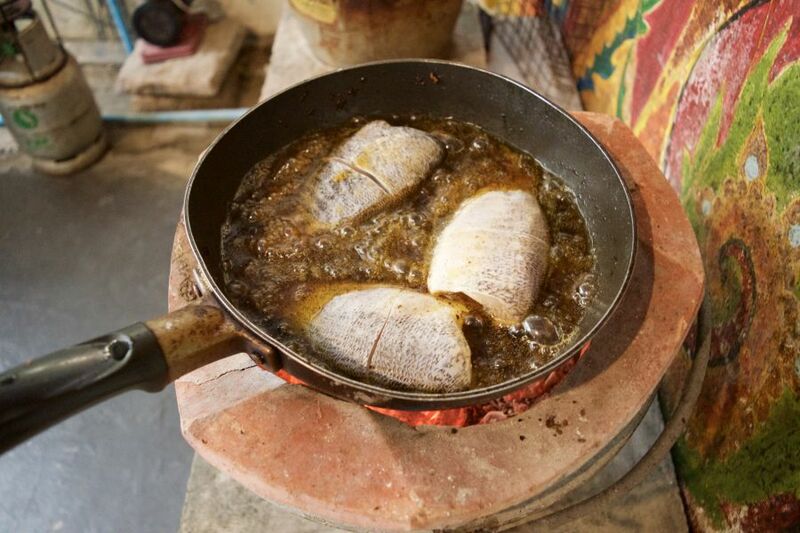 This is no ordinary cooking experience, as guests use a clay stove to create the dishes they will soon be devouring. 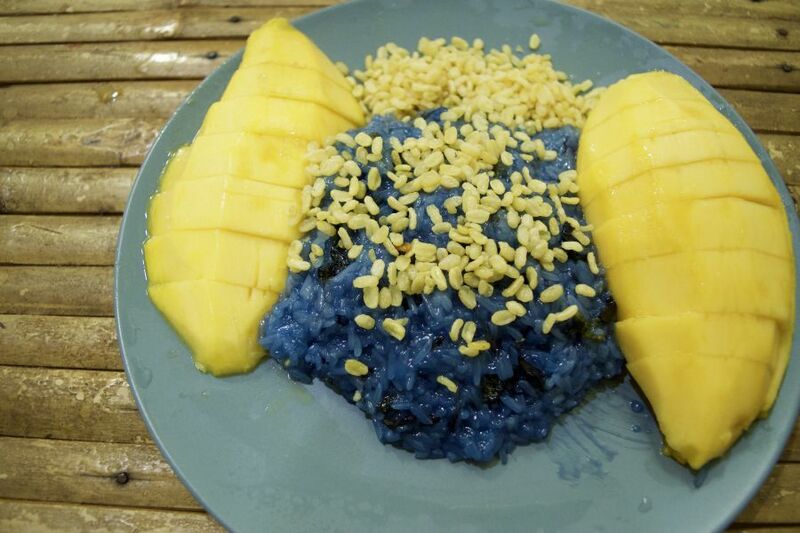 One aspect of Jekky's class that guests should look forward to the most is her utilization of butterfly pea flowers, which she uses to create her mouthwatering welcome drink and mango with blue sticky rice. The entire cooking experience should take about three hours. Market visit: (1-5 guests) After being picked up from the BTS Skytrain station Saphan Kwai, you will go with Jekky to Talad Sod Saphan Kwai, the fresh market at Saphan Kwai. Jekky has been living in the area for years, and there isn't a single vendor at the market she doesn't seem to be friends with. 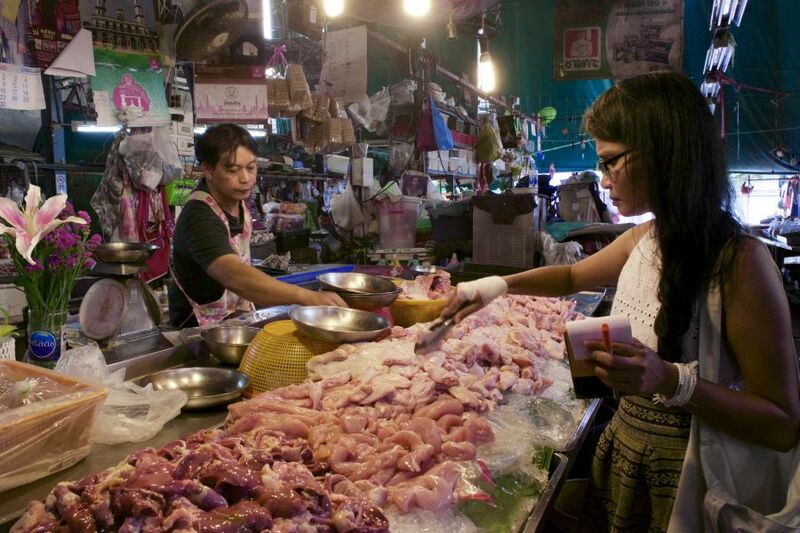 You will weave in and out of vendors and stalls chock full of fresh and sometimes strange ingredients, with everything from fresh fruit to chicken feet for sale. Jekky explains each ingredient you will be using as you pick them out. 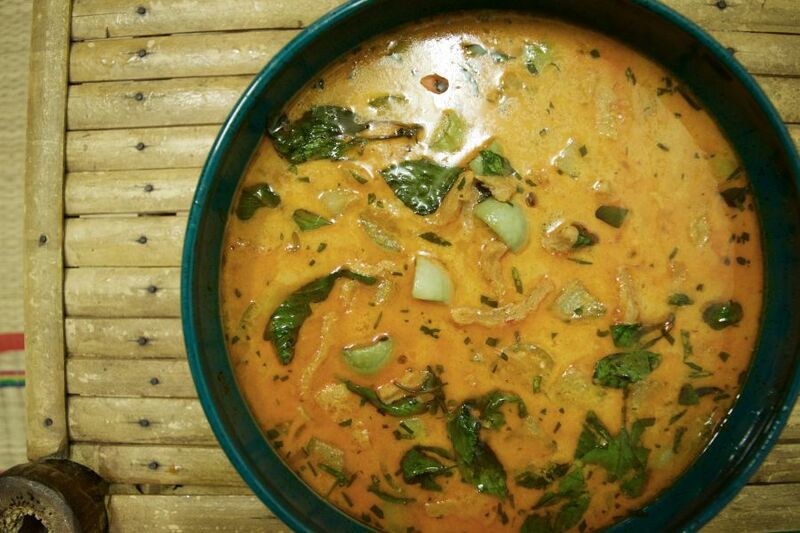 You will then head to her modest home on an exhilarating tuk-tuk ride before embarking on your cooking class experience. Notes: Please indicate at the time of your booking if you have any dietary needs, as Jekky can make both Halal and vegan dishes. She can also offer a glass of her homemade mango and passion fruit with Thai whiskey cocktail that you can request instead of beer ahead of time. The home does not have any air-conditioning, but there are a few fans placed around the room. Jekky's home is also a guesthouse, so there may be people coming in and out of the house during your cooking experience. Jekky's cooking experience is one of a kind. You cook on a clay cookstove as opposed to an appliance, which is definitely a unique experience. 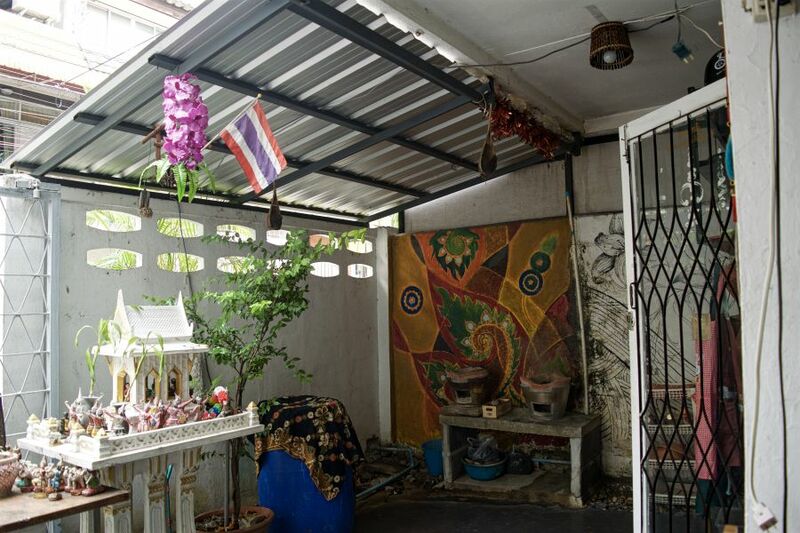 Her home is located very close to the BTS but off the main road, so it does feel like a local, Thai home. Jekky is a lot of fun. It was super easy to connect with her and feel comfortable and relaxed while cooking her delicious favorites. 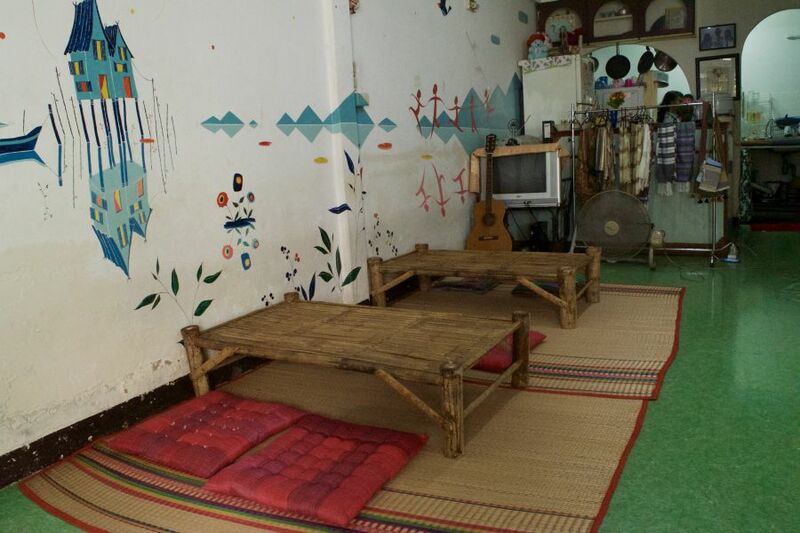 Jekky's home is also a guesthouse, so at times there will be people popping in and out of her home. Her home is not air-conditioned, but she does have a few fans. Overall, it was a great cooking class and day, and by the end of the class we had so much food we didn't know what to do with it! Jekky is a kind, cheerful host. Very down to earth! Her English is great and we were really happy with our experience learning from her. Jekky's food was, of course, amazing. We made 5 different dishes. Jekky listened to our requests for the dishes of our choice. We were able to experience purchasing ingredients at the market (which is overwhelming if you are not used to shopping there!) Jekky's place is very homey. Be prepared to experience Thai culture and living! We helped prepared the ingredients and Jekky showed us how to cook each dish. It was very engaging and interactive and Jekky certainly knows her stuff about Thai cooking! We made more than enough food for everyone and the dessert was beautiful. All of us were stuffed by the time we finished! Highly recommend this experience and our lovely host, Jekky!